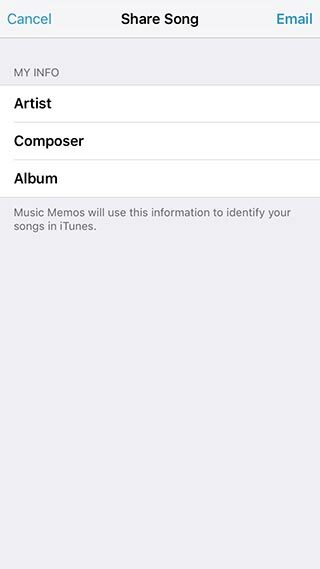 After reading about the new Apple Music Memo app on Gizmodo today I had to make sure that we supported upload from it. 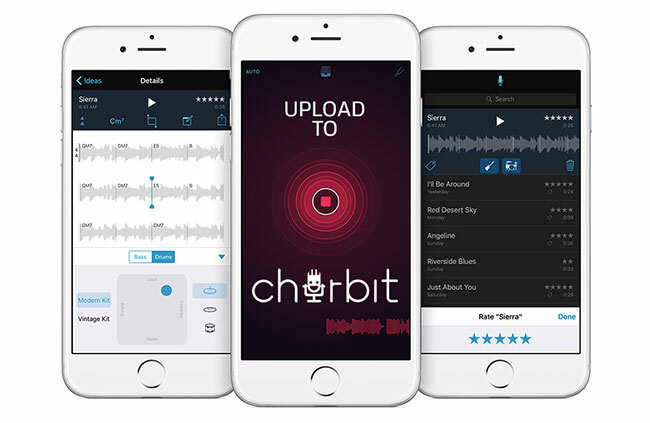 Here is a quick tutorial on uploading to your chirbit account from this awesome new app. Make sure you have set up your chirbit account for emailing in audio. In your account settings page add your 4 number pin and the email you will be sending your audio from (sometimes your phone's email sending address is different from the account you used to sign up with on chirbit. 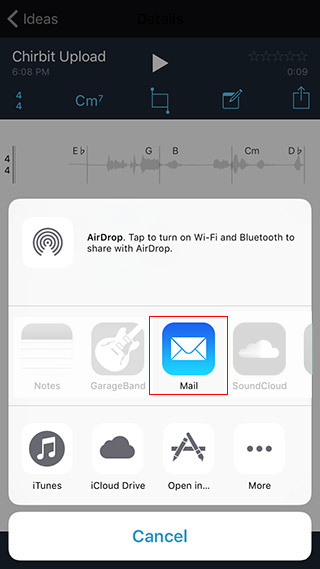 In the image below the fields are called "Voicememo Email" and "Voicememo Pin". 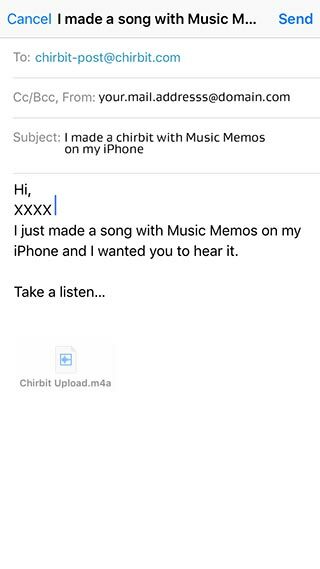 Once you have this set up it's super simple to upload your content to your chirbit account from inside the Music Memo app. 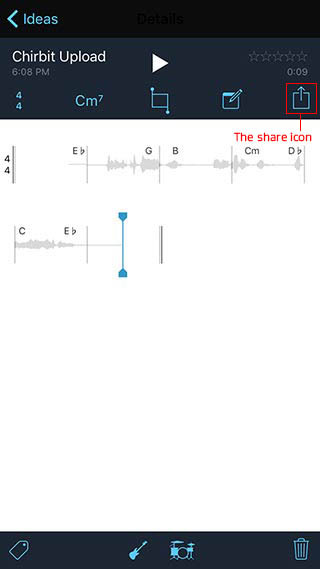 Once you are ready to post something, click the share icon on the voice memo app, for your recording. You will be greeted with a choice of options for sharing. Click the Mail icon. You can add Artist, Composer and Album if you want to. We are not currently reading this metadata, but may in the near future. 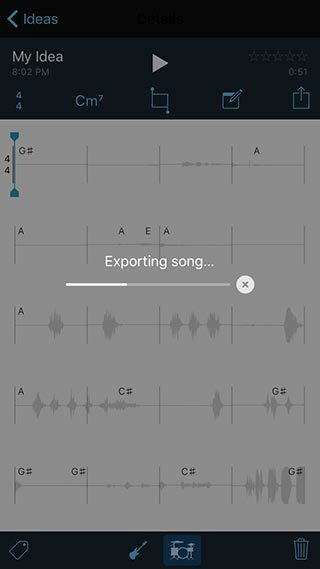 The app will export the song and prepare it to email. The email to send it to is chirbit-post@chirbit.com. The subject of the email will become the title of your chirbit post. 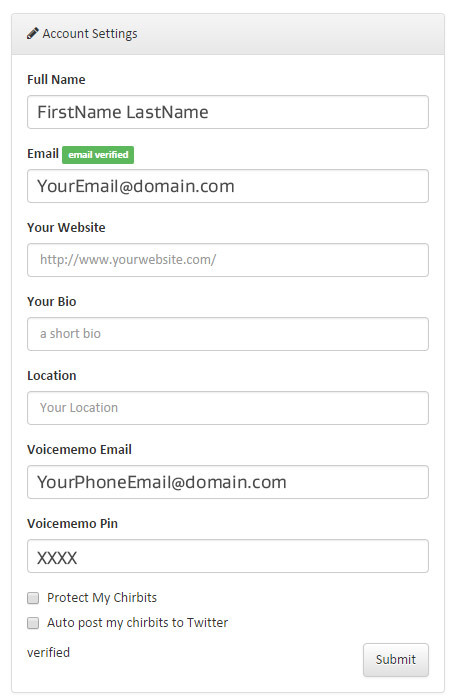 In the body of the email add your 4 number pin and make sure the Cc/Bcc,From: email address is the one you entered in your account settings under "Voicememo Email". Then just send the email and your Music Memo should be posted to chirbit. I am excited to see this feature being used and if you have any questions, comments, feedback or suggestions on how I can make chirbit even better, let me know.